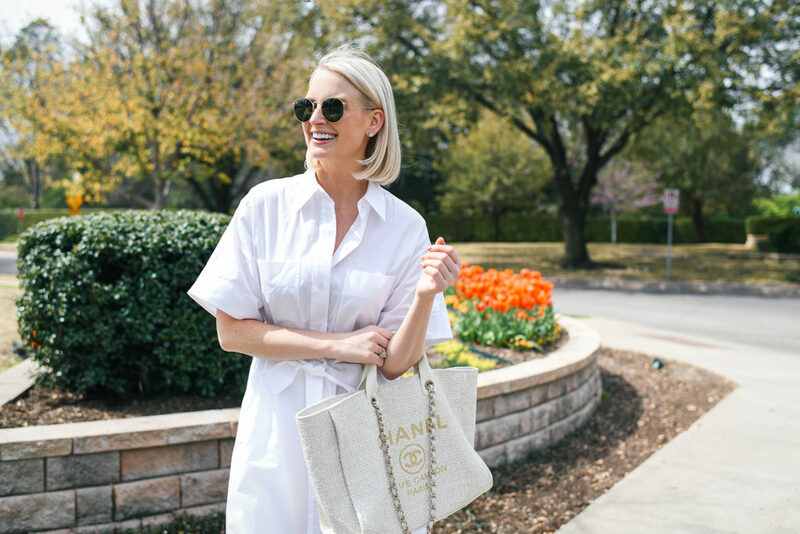 I’ve said this before and I’ll say it again… shirtdresses are the BEST wardrobe staples! So classic, versatile, wearable, comfortable, etc. With a flattering style in a timeless silhouette, you really can’t lose! They’re great for work, church, brunch, travel/sightseeing, date night dinners, and more. I snagged this chic piece during Shopbop’s big event sale a couple weeks ago and am so happy with it’s everyday versatility! The belted waist is incredibly slimming, and the modest neck and hemline make it useful for work-related functions, church and all kinds of other events. Plus, it’s super comfortable! All the good stuff. If you love a preppy look, don’t miss this blue + white striped shirtdress from Polo Ralph Lauren. So sleek and flattering! This simple black utility shirtdress is under $80 and such a great, modern staple. 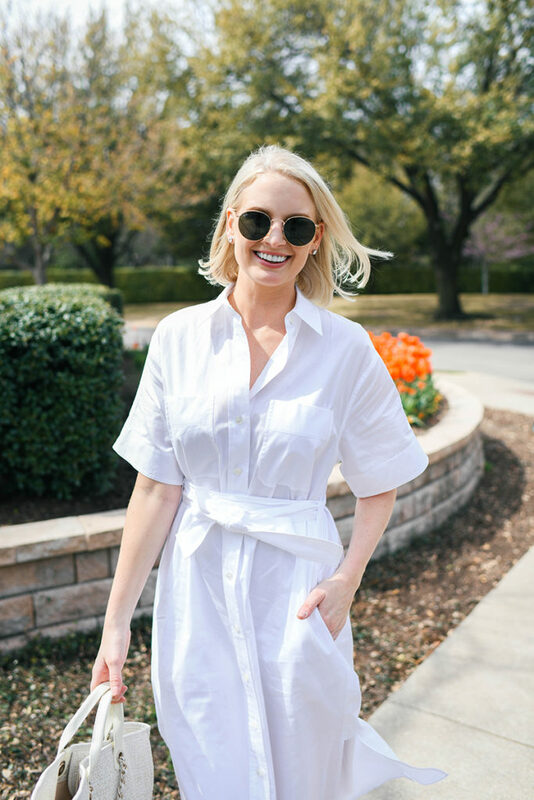 Loving the elegant ivory vibes of this pristine Tory Burch shirtdress! Perfect for your summer work wardrobe. This sleeveless black midi shirtdress is just what my wardrobe needs for casual summer days. Under $80! I’ll probably style it with sandals or my Chanel espadrilles. This style is more of a splurge, but love the flippy skirt! A stylish update on a classic. Love some color? Don’t miss this lemon yellow shirtdress from H&M! Under $70 and features fun 3/4 sleeves. Obsessed with the lace trim on this feminine frock! A timeless piece for sure. This J.Crew shirtdress seems like something Meghan Markle would wear (or has worn)! She would definitely get it in navy. Under $100! I’m not a big print person, but I’m head over heels for this one. Looks very retro (in the best way) and such a classic silhouette! Looking for something under $50? Don’t miss this or this. This mixed stripe shirtdress is so nice I’m sharing it twice! Under $80. This Gal Meets Glam dress is another flattering option for really hot summer days! The light beige color of this $60 find is right up my alley. This one too! Shirtdresses really are a closet must-have! Your dress is so cute! I love how how it ties!